President Donald Trump says the problem with the Oscars is "we don't have Stars anymore," except for him. 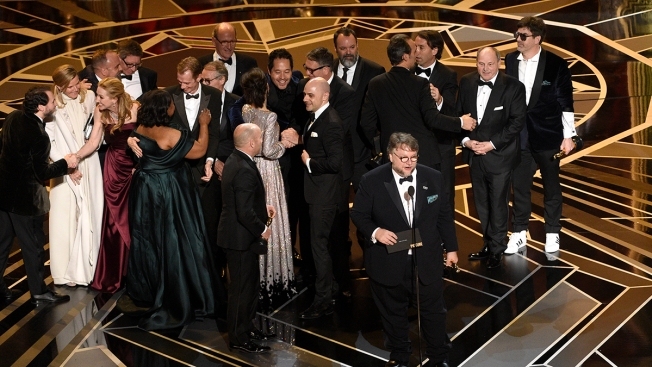 Viewership of Sunday's Academy Awards broadcast plunged to a record-low viewership of 26.5 million people. According to the Nielsen company, that's a 20 percent drop from the 33 million people who watched last year's show. Trump tweets Tuesday: "Lowest rated Oscars in HISTORY. Problem is, we don't have Stars anymore - except your President (just kidding, of course)!" Sunday's broadcast included a few barbs that host Jimmy Kimmel directed toward the White House. Not one to let Trump have the last word, Kimmel responded late Tuesday.